3 Cannons – what a Blast! A very happy New Year and all glad tidings to Club members and to the many friends and supporters we have met along the trail. Here in the deep south of the Great South Land we have just had a week of searing temperatures and devastating bushfires, and of course, all black powder doings are on hold until the coming of autumn (otherwise known as Fall for some of our readers). Now it’s a full four years since we first received a holler from Brad Randall from the Hatchie Run club of Mississippi and I’ve yet to pass on their latest seasonal greetings and accompanying photos, so here we go. You’ll remember Brad kindly donated to us a beautiful hunting pouch, featured in our Sept 2010 newsletter. As further thanks we pay compliment to Brad and wife Debbie featuring the above photo where all present are holding rifles hand-built by Brad. Now that’s some achievement considering Brad had spent 20 years in the army, followed by 22 years in auto sales and only recently “retired” to grand-parenting and gun building. Apparently the grand-parenting bit also includes making clothing outfits for his grand-daughter, Caydence, and sharing camping and fun activities with the whole family. See our Gallery page for more photographs from Brad. Anyone know the whereabouts of old Daniel Boone’s bones? Read our feature article from George Mohr who was there recently, paying homage to this man of great fame. Most all of you know the story of Daniel Boone’s early days. Life was pretty straightforward for a Longhunter – cross over the mountains, hunt the deer, avoid the Indians, haul the hides home on horses and sell them, kiss the wife, count the kids, get the supplies ready and do it all again. There were many adventures in all this, some good and some tragic. Daniel led settlers into Kentucky, including his own relatives. He lost his sons, James and Israel, to Indians. Dan was captured by Shawnee and adopted by Chief Blackfish. He escaped to warn Boonesborough of a coming attack by Shawnee, helped defend the settlement and then was accused of betrayal by some of the settlers. He successfully defended himself against the charges and was promoted within the militia. He was friends with men like George Rogers Clark and Simon Kenton. Just about everyone knows the story of Daniel Boone. 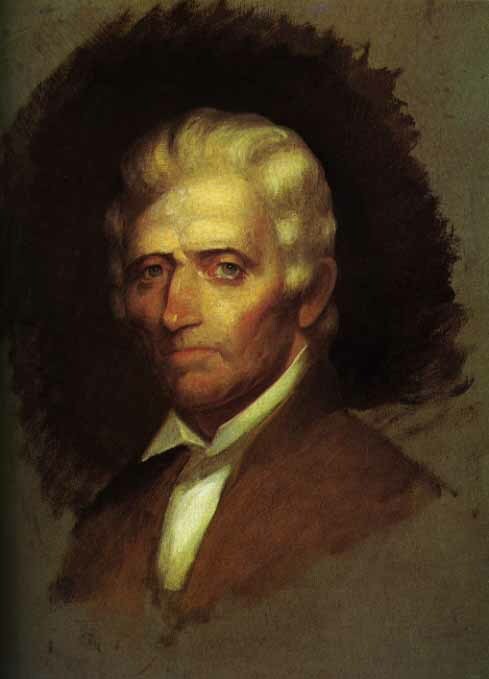 Daniel Boone did not hate civilization. He made money as a merchant and surveyor in Kentucky. He was elected to the Virginia General Assembly in 1781 and again in 1787. In 1782 he was elected Sheriff of Fayette County. He ran a tavern and a trading post and was even an owner of seven slaves. He was prosperous by frontier and community standards of the time–and a celebrity of sorts. Daniel encountered many financial problems. He was involved in various land claims and did surveying for other settlers, so he was a speculator of sorts. As more settlers arrived there were claims and counterclaims on land surveys. Many of these claims went to court and the decisions often went against Daniel. He felt duty bound to repay anyone who lost land and money on surveys he did or land he sold. In 1780 he had collected $20,000 to file settlers’ land claims. On the way to Williamsburg he was robbed. It took him several years to repay those settlers. He was an honest man. By 1799 he probably felt less than enthusiastic about life in Kentucky. Daniel and much of his family moved to St Charles County in Missouri in 1799. The Spanish thought Daniel would be a great drawcard to get settlers into the region. They provided land grants and even made Daniel a syndic, essentially a judge over legal matters, as well as commandant of the Femme Osage district. He served the Spanish well until the United States bought Louisiana in 1804. He once again lost his land claims, but Congress restored them in 1814. Most of his lands were sold to pay his old Kentucky debts. Daniel continued to hunt and trap in Missouri. He lived his last years with his children and grandchildren. It was said that Lewis and Clark saw him waving to them as they started up the Missouri in 1804. It is said he hunted as far north as the Yellowstone River and visited Fort Osage. Legend has it he hunted with John James Audubon in 1810, but the Boone family claim he never returned to Kentucky after 1799. 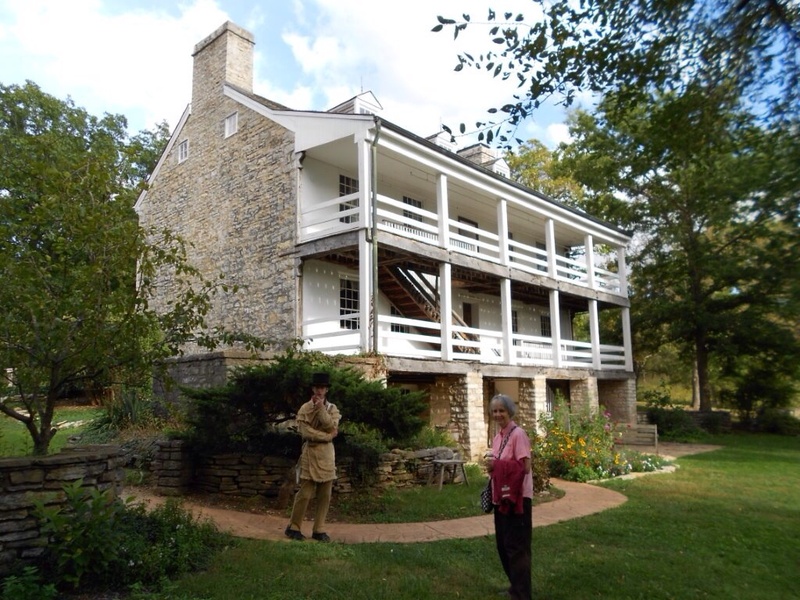 Kay Mohr with guide (in Rifleman’s frock) at Nathan Boone home. 2013 Photo by George. Daniel died of natural causes, on 26 Sept. 1820 at Nathan Boone’s home on Femme Osage Creek. He was 85, nearly 86. His last words were reported to be, “I’m going now. My time has come.” Daniel’s wife, Rebecca, had died in 1813. Daniel was buried near her in the graveyard near Jemima Boone Calloway’s home on Tuque Creek. Daniel had made his own coffin. Occasionally he would lie in the coffin and scare the grandchildren. He was buried in that coffin. In 1845 Kentucky sent people to Missouri to dig up the remains of Daniel and Rebecca. While they got Rebecca’s remains, the story is that they didn’t get Daniel’s. Apparently there were many burials in the cemetery and Daniel’s and Rebecca’s graves weren’t marked. It’s possible the remains they thought were Daniel were actually those of a slave. My sources indicate that when Daniel died and his grave was dug, they came across the remains of an earlier burial right next to Rebecca, so they buried Dan at an angle to Rebecca, not directly next to her and parallel. Missouri claims to still have Daniel’s remains while Frankfort, Kentucky, has the remains of Rebecca and a slave. 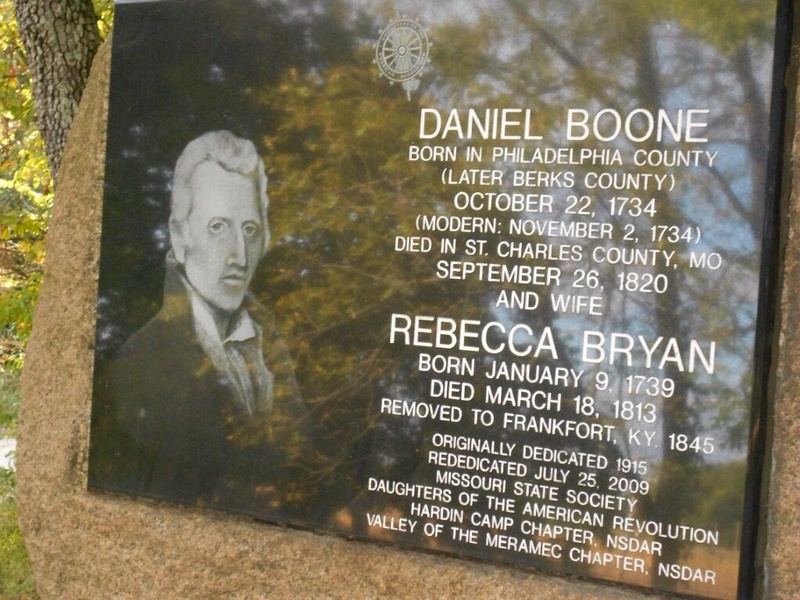 So, both Kentucky and Missouri lay claim to the remains of Daniel Boone. Here’s something exciting to strive for – Aim to get 10 plus 10 for your Rendezvous re-enacting this year, Firstly, due to Good Friday falling one week prior to ANZAC day this year, we have an opportunity, for many, to take two or three extra holidays midweek to maximise a 10 day extended rendezvous camp. Failing to obtain that extra leave, members could camp over Easter, leave tents and gear in safety (somebody will guard the stock) and then return on ANZAC day to complete the 10 day stint. Sounds ideal to me, so why not book your holidays early, like maybe now! 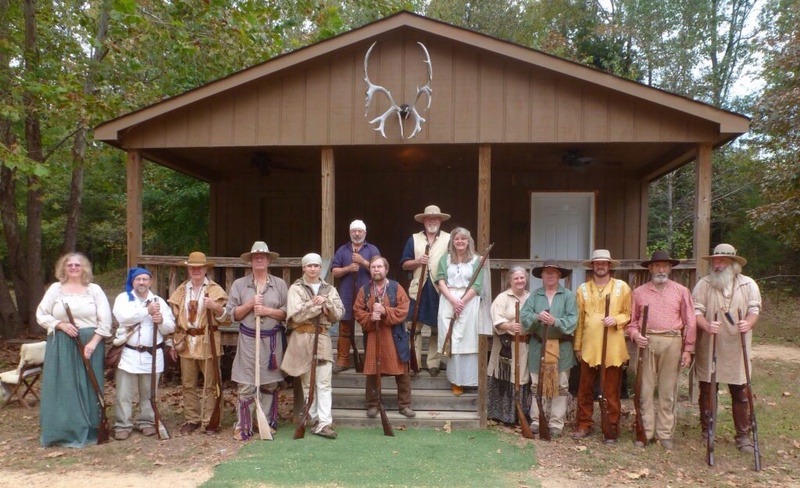 Secondly, in June this year, on the traditional Queen’s Birthday weekend, we celebrate 10 years of Winter Quarters encampment in the Caveat/Highlands hills. Much is planned to make this significant anniversary a never-to-be-forgotten experience in primitive rendezvous circles Down Under. Cannons – what a Blast! Looking back on the past year of powder burning it strikes me that our cannon exhibition-shoot mentioned in Vol 45 was one of the more popular happenings, so why not do it again, soon? Surely though, we can line up more than just two pieces next time. What about during our Easter/ANZAC rondyvoos? http://lewis-clark.org/content/content-article.asp?ArticleID=2362 Jenny forwards this address to stimulate further interest in the use of cannon at our Club doings, you could say just a teaser, and I might confess to a long held crazy notion about swivel guns –Hollywood style. So, from the aforementioned Lewis and Clark website….. The small swivel cannon was commonly used on ships and riverboats, as well as in forts, in 18th- and 19th-century America. Captain Clark had one installed on the bow of the keelboat. It would have been mounted on a yoke resembling an oarlock. With the foot of the yoke inserted in a hole on the ship’s rail, the wall of a fort, or a stanchion on the bow of the keelboat, the cannon could be swivelled right or left; up or down. Swivel cannons typically have a projecting piece at the back end with a cavity which accepts a dowel to be used as a tiller or handle for guiding the direction of firing without burning the gunner’s hands. The journals do not mention the size of the swivel cannon on the keelboat, but typical swivels of the era would range from 18″ to 36″ in length, with a bore from one to two inches in diameter. The specimen illustrated here is 22″ overall length with a bore of 1-3/4.” This bore is quite suitable for accommodating the 16 musket balls Captain Lewis ordered to be loaded during the standoff with the Teton Sioux on September 25, 1804. Fortunately, it wasn’t necessary to fire it in anger that day, nor any other day during the entire expedition. However, the swivel cannon is mentioned frequently in the journals for its usefulness as a signaling instrument. While the keelboat was proceeding upstream, the hunters would be on shore, sometimes a mile or more from the river in pursuit of fresh meat. At the end of the day a blank shot would be fired from the swivel to orient the hunters to the keelboat’s location. It was also handy for other peaceful purposes, such as some sort of celebration. “Two shot were fired from this swivel, followed by a round of small arms, to welcome the New Year,” wrote Patrick Gass on January 1, 1805. Oh yes, that confession! Well, I’ve always wanted a swivel gun! A need stimulated by my fantasy that a swivel, with a tiller (or hand grip) sort of becomes a handgun, eh? Perhaps the most powerful handgun in the world? Go ahead, Punk, make my day! Charlie Timma has kindly supplied a number of his individual pencil portraits of members for inclusion over the upcoming volumes. Copies of these were available to members at last camp, unfortunately the portrait subjects were not there in attendance. The good news is that they are still available for collection at next camp. 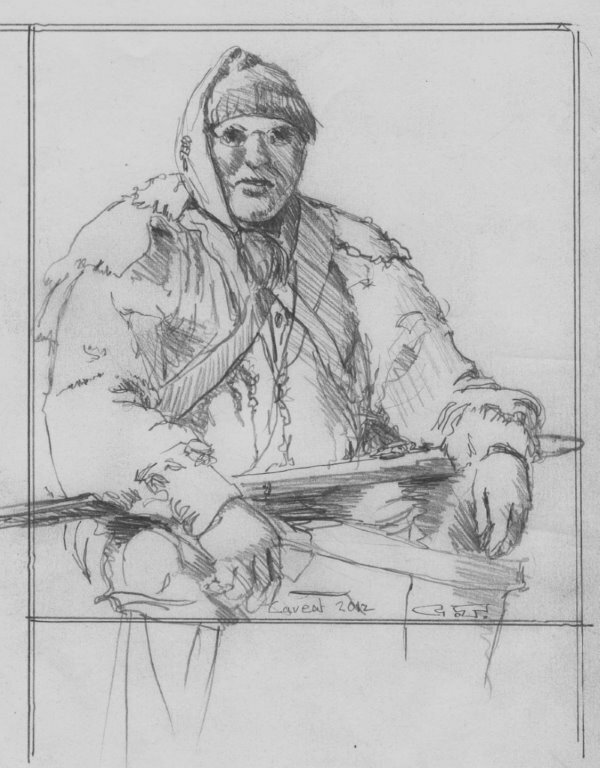 1820 unfinished portrait of Daniel Boone by Chester Harding-the only portrait made from life. Labour Day w/e March 8, 9 &10. This long weekend will always be a doubtful listing due to hot dry weather and possible fire restrictions, but it’s worth noting these dates as “possibles” in case of a cooler start to autumn. Do check with Committee members before setting off in case of late cancellation. Easter to ANZAC w/e April 18 – 27. This year we have a great opportunity for an extended camp lasting 10 full days. Or for the unlucky folk who must work between Easter and the ANZAC holiday there is a possible end on end two long weekends leaving camps set-up for the duration. Queen’s B’day w/e June 7, 8 & 9 (our 10th Anniversary of Winter Quarters). Spring R’voo Sept 20 & 21 (The traditional Primitive w/e & start of Vic school hols). “There have been other rendezvous, primitive treks or living history weekends I have attended, but I have never been to one where there wasn’t something out of place. No sunglasses, no plastic egg cartons and no aluminium beverage cans were to be seen. Everyone was working hard to make Fort Loudoun a proper portrayal.” Mark Baker writing for “Muzzle Blasts” magazine, January 1988. Our challenge is to do just as well, so that accolades such as above might be said of all our camps, proving that we are serious about our living history Statement.